Jason Pierre-Paul Suffers Hand Injury in Fireworks Accident: According to multiple media reports, New York Giants defensive end Jason Pierre-Paul suffered a potentially serious hand injury in a fireworks accident during July 4th festivities at his South Florida home on Saturday. The full extent of the injuries are not yet known. According to ESPN, the palm and the tips of three fingers of one of Pierre-Paul’s hands were severely burned. Doctors are checking to see if one of his fingers suffered nerve damage. However, one source told ESPN that it is believed Pierre-Paul will be fine. Early reports had erroneously stated that Pierre-Paul had lost several fingers. Pierre-Paul has yet to sign the 1-year, $14.813 million Franchise tender the team tagged him with. It is not yet known how this accident will affect his availability in training camp, the preseason, and/or the regular season. 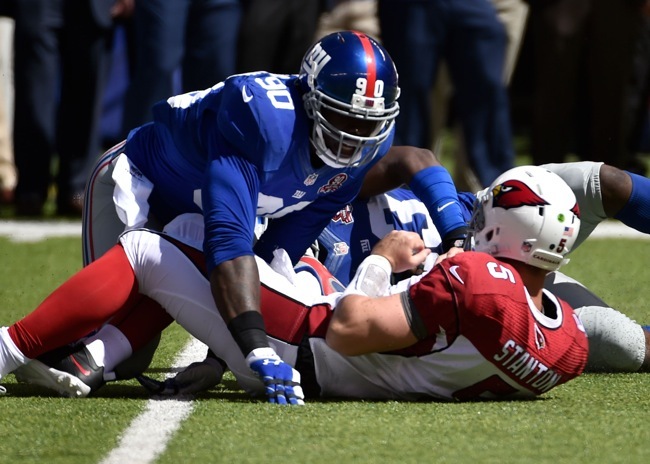 November 19, 2014 New York Giants Injury Report: RT Justin Pugh (quadriceps), DT Cullen Jenkins (calf), and LB Jacquian Williams (concussion) did not practice on Wednesday. “I don’t know (if Pugh will practice this week), we will see, he’s day to day,” said Head Coach Tom Coughlin. DE Mathias Kiwanuka (knee) practiced on a limited basis. OG Geoff Schwartz (toe) and CB Dominique Rodgers-Cromartie (back/hamstring) fully practiced. LB Justin Anderson Re-Signed to Practice Squad: The New York Giants have re-signed linebacker Justin Anderson to the Practice Squad. Anderson was signed off of the Practice Squad to the 53-man roster last Saturday but waived on Monday when the Giants activated offensive guard Geoff Schwartz from short-term Injured Reserve. November 19, 2014 Tom Coughlin Press Conference: The transcript and video of Head Coach Tom Coughlin’s Wednesday’s press conference are available at Giants.com. 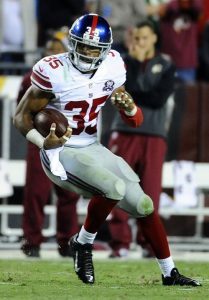 ESPN Radio Interview with RB Rashad Jennings: The audio of Wednesday’s ESPN Radio interview with RB Rashad Jennings is available at ESPN.com. 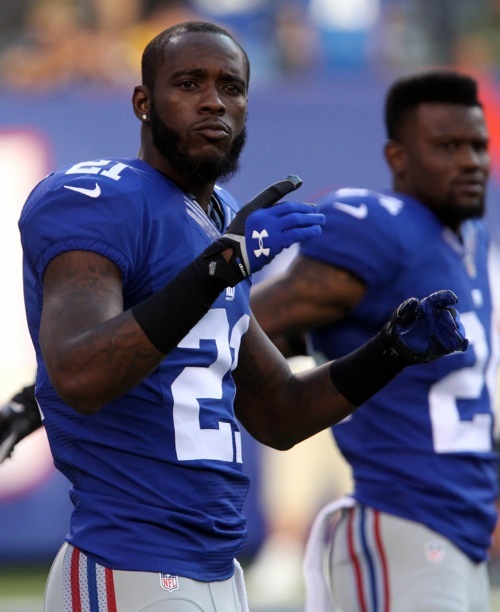 Giants Place Jerrel Jernigan and Walter Thurmond on IR: The New York Giants have officially placed WR Jerrel Jernigan (mid-foot sprain) and CB Walter Thurmond (torn pectoral muscle) on season-ending Injured Reserve. Thurmond underwent successful surgery on his chest on Tuesday. Jernigan will not need surgery but will wear a protective boot and rehabilitate the foot. To fill those two vacant roster spots, the Giants signed WR Julian Talley and LB Dan Fox from the Practice Squad to the 53-man roster. There still really is no official word on how long LB Jon Beason will be out. The Giants announced that Beason aggravated the previous foot injury that sidelined him for all of training camp and the preseason. Beason may visit foot and ankle specialist Dr. Robert Anderson in Charlotte, NC later this week. Dr. Anderson examined Beason’s foot when he suffered the original injury in June. Giants Sign Two to the Practice Squad, Cut Another: With WR Julian Talley and LB Dan Fox being promoted to the 53-man roster, the Giants have filled their Practice Squad vacancies by signing WR Travis Harvey and WR L’Damian Washington. The Giants signed Travis Harvey as a street free agent in April 2014. 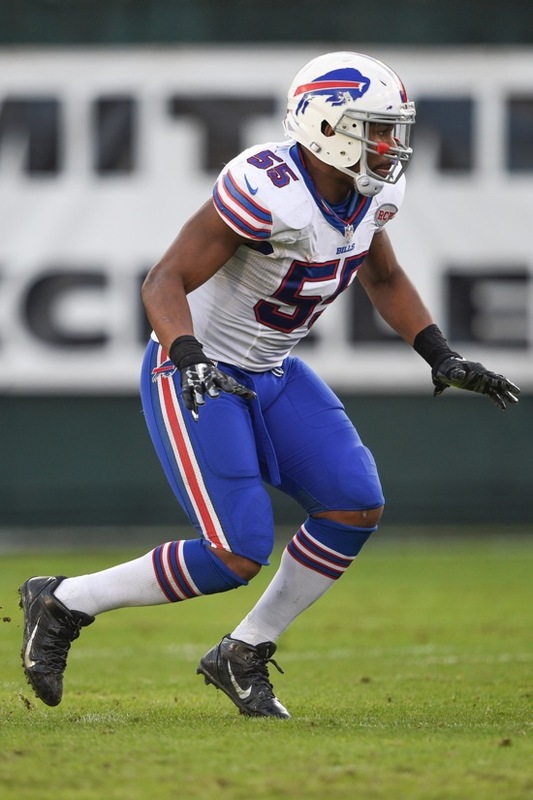 Harvey was originally signed by the Tennessee Titans as an undrafted rookie free agent after the 2013 NFL Draft. The Titans waived him in July and he did not play football in 2013. The Giants cut him on August 26. Washington is a very tall (6-4), thin (200 pounds), fast receiver who was signed as a rookie free agent by the Dallas Cowboys after the 2014 NFL Draft. 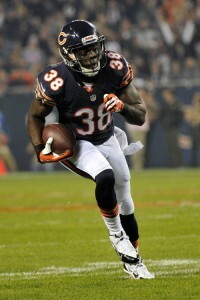 He was waived on August 2 and awarded the next day to the San Francisco 49ers, who released him on August 30. 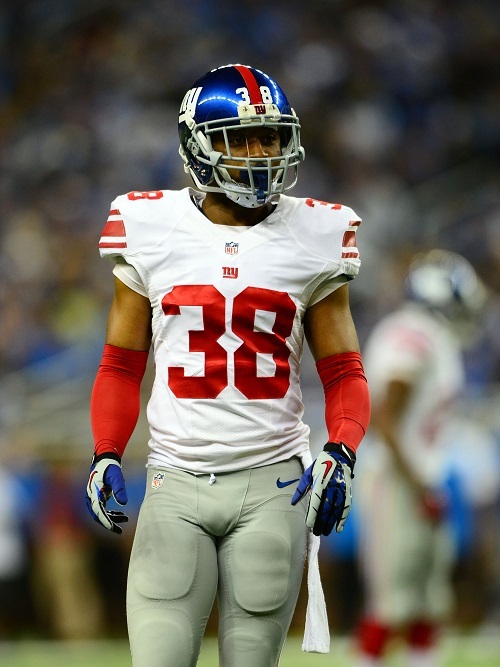 The Giants also terminated the Practice Squad contract of DE Jordan Stanton. 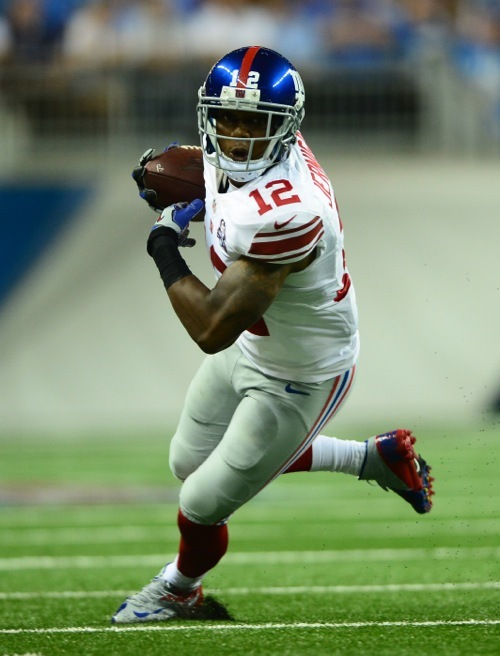 The Giants still have one opening on their 10-man Practice Squad. Sights and Sounds from Giants-Cardinals Game: A sights and sounds video from the Giants-Cardinals game is available at Giants.com. 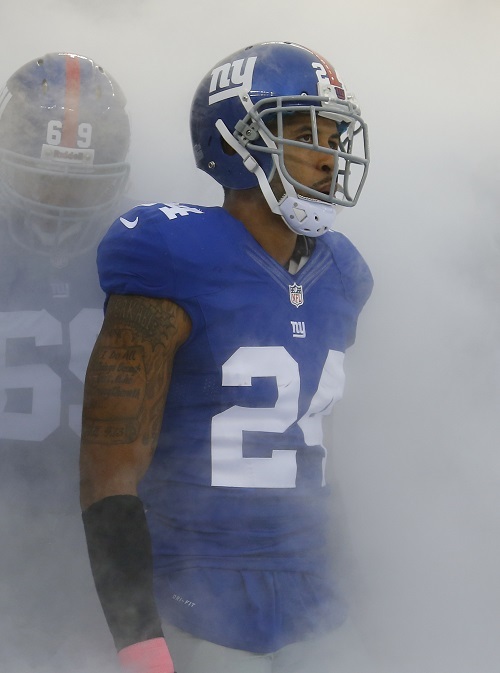 With Walter Thurmond Out, Where Do Giants Go at Nickel Corner? 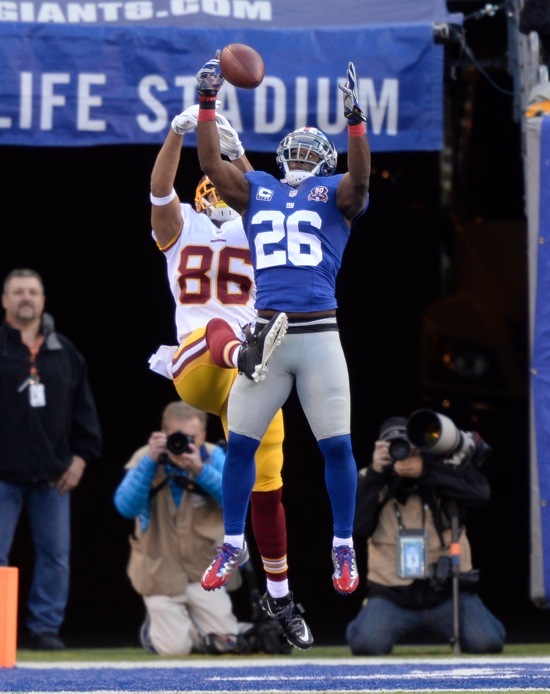 The New York Giants secondary was set. 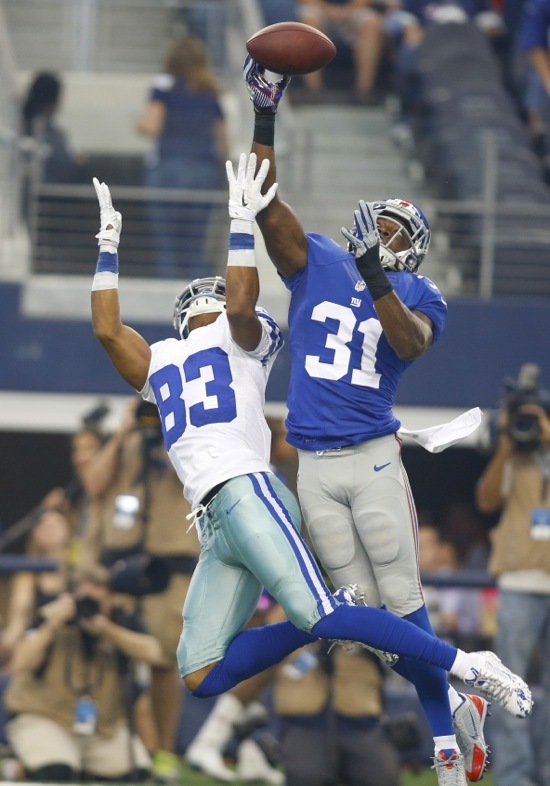 The team had two former first-round picks (Dominique Rodgers-Cromartie, Prince Amukamara) at their outside cornerback positions, both of whom were capable of shutting down an opponent’s No. 1 target. 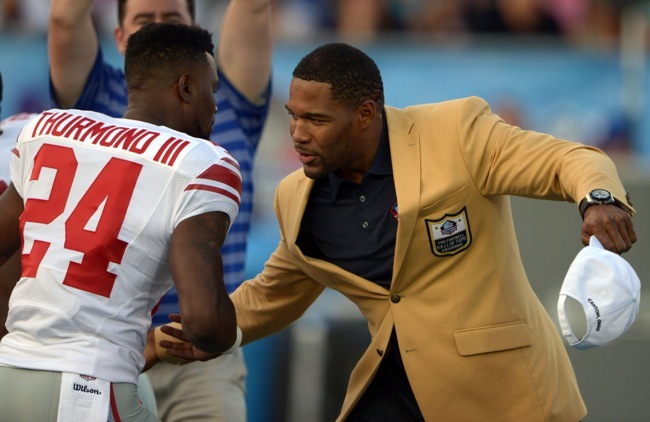 Then, for those pesky slot receivers, New York signed the self-proclaimed best nickel defender in the game, Walter Thurmond III, this offseason. On paper, everything seemed perfect. It looked as if a team that had been led for so many years by their front four, would now be led by their secondary. Two games into the season, that tactic took a massive blow. Versus the Arizona Cardinals Sunday afternoon, Thurmond suffered a torn pectoral muscle. He will have surgery on Tuesday. His season is over. 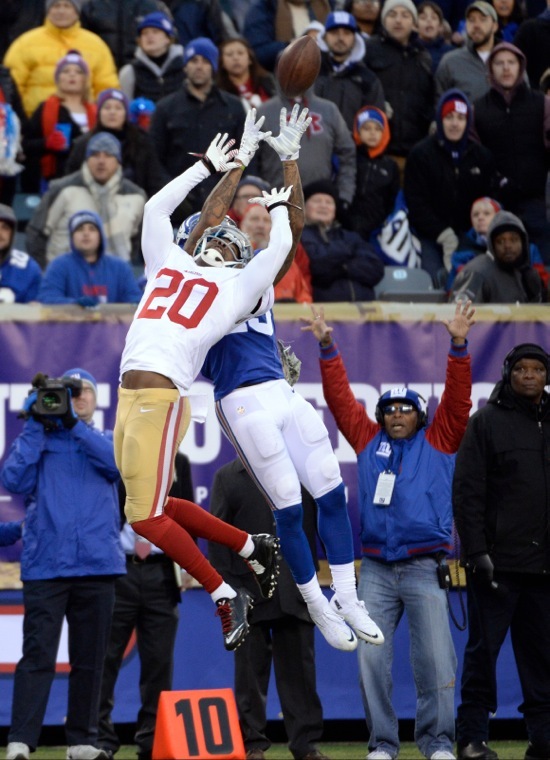 In years past, the Giants secondary had been ravaged by injuries. As a result, New York didn’t just build up its starting unit this offseason, but depth as well. Aside from Rodgers-Cromartie and Thurmond, Zack Bowman was signed from Chicago, Trumaine McBride was re-signed and Bennett Jackson drafted. The injury to Thurmond, while a blow, shouldn’t be that bad. Right? New York should be able to slide any of the above mentioned players into the nickel cornerback position. Right? Actually, wrong. While New York was considered to be incredibly deep at the cornerback position, it actually lacks experience at the nickel. Here’s a look at what each cornerback on the Giants roster has done when brought in to play nickel. If the Giants deem the present group not worthy, here’s a few other options that may be worth a look. When the news broke that Thurmond would miss the season, the instant logical solution to many was to simply plug Bowman in. The issue with that? Bowman has rarely been used at the nickel cornerback position throughout the duration of his career. 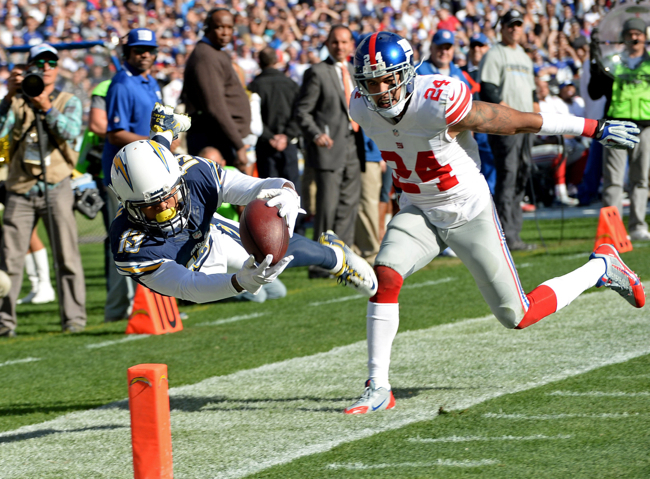 The 29-year old has primarily been known as an outside corner and special teams player. While Bowman excelled in the preseason this year, it was very rarely when lined up in the slot. 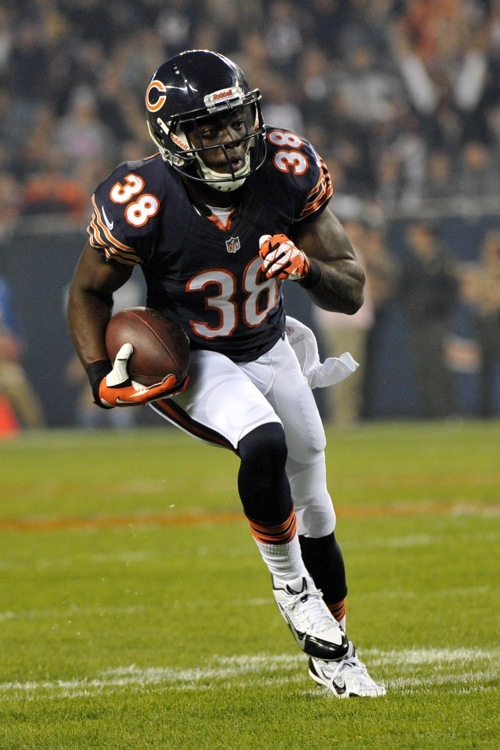 In four preseason games, Bowman played just two snaps matched up against the slot receiver. McBride enjoyed a breakout season in 2014 while filling in for injured Giants cornerback Corey Webster. When quarterbacks decided to test McBride, their average QB rating was under 60. However, similar to Bowman, McBride has been known as an outside cornerback throughout the majority of his NFL career. In fact, between 2011 and 2012, McBride didn’t play a single snap in the slot. Jayron Hosley is arguably the player with the most experience in the slot, having played 177 snaps as the Giants nickel cornerback in 2012. The issue? He wasn’t particularly effective. Quarterbacks completed 52-of-76 passes when testing Hosley and had a combined quarterback rating of 86.7. In the 2014 preseason, Hosley played primarily outside and struggled, but did get six reps in nickel. He allowed two catches on the only two passes thrown his way. There’s also the small tidbit that Hosley is still suspended for two games. There is a chance that if the new drug policy is put in place, Hosley can play as early as this Sunday, but that’s no guarantee. It seems as if every year the Giants try everything to get Rolle out of the slot, and every year something happens that puts him right back in it. 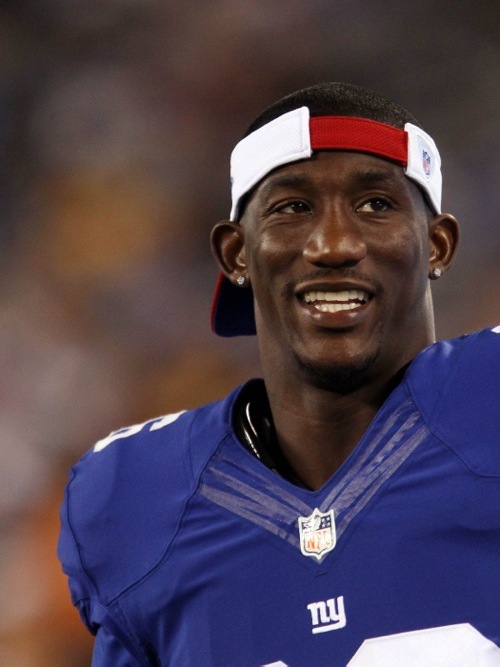 Since joining the Giants, Rolle has played 668 snaps as a nickel cornerback. He’s had some success, too. Last year, a quarterback’s rating when testing Rolle was 66.6, but in 2012, that number was 107.3. Rolle is much better suited to simply play safety, as was evident last year, and New York will most likely try all other scenarios before moving the Pro Bowler down. Quietly, Bennett Jackson had a pretty impressive preseason when playing the nickel cornerback position. On 53 snaps, he was only tested four times. He allowed two catches for 36 yards. Jackson is presently stashed on the Giants practice squad and could be activated if Thurmond is placed on the injured reserve, and the Giants decide not to activate Hosley. 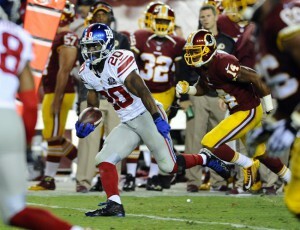 A very, very unlikely situation would be the activation of Chandler Fenner to the Giants 53-man roster. While Fenner played well in the preseason and team’s training camp, he saw no snaps as a nickel back in the preseason. While Jordan Raanan (NJ.com) and Conor Orr (The Star-Ledger) have reported that, at least to this point, the Giants have not contacted Thomas’ reps, the former second-round pick is still a free agent after being cut by the Seattle Seahawks in training camp. Thomas was one of the feel-good stories for the Giants a year ago when he bounced back from a third ACL tear to play the full 16 games. Thomas saw over 300 snaps as the nickel corner and played well at times. In his first game action in two years, Thomas allowed 45 completions in 59 attempts for 453 yards with three touchdowns. He intercepted one pass and a quarterback’s average rating when testing the USC alum was an even 91. He’s available, knows the system and has had more experience and success than any other cornerback option on the roster. During the Giants 75-man roster cut down, they waived fan-favorite Charles James. The former undrafted free agent is still a free agent and saw some action in the nickel package this preseason, but struggled mightily. James played 27 snaps and allowed a completion on both of the throws tossed his way. Similar to Thomas, NJ.com and The Star-Ledger are reporting there has been no phone call made from the Giants to James. An unlikely option for the Giants would be to sign a veteran with little connection to the team. Former first-round pick Dunta Robinson is presently a free agent and had the most success in the slot last year of available veterans. Playing for the Kansas City Chiefs, Robinson allowed 17 completions on 24 targets as a nickel corner.